We Indians are lucky in terms of attire. We have so many dresses to wear! 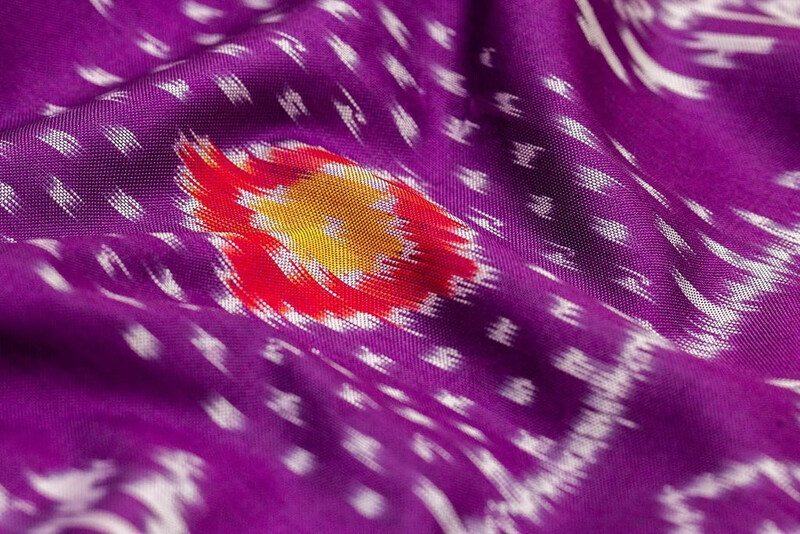 Each region has a special garment and has a rich colour palette and a unique texture. Indian ethnic wear is loved all over the world and we are proud of it. We are particularly fond of the national garment saree which alone has innumerable varieties. Each saree is a piece of art in itself. Saree is the most versatile and elegant garment.I consider my mom to be the ultimate 'Saree horse' (the analogue term for clothes horse if you know what I want to mean). Somehow even the simplest of drapes look absolutely stunning on her. She has an incredible collection of saress...from Mysore silks to Assam silks, Kanjeevaram to Baluchari, the list is endless. Not to mention she has a whopping number of Bengal Handloom (Taant) sarees. This collection has not been built in a day. Its over the years of travelling she has handpicked and enriched her saree wardrobe. I am definitely looking forward to inheriting her closet. Although I love buying sarees for myself, I am unable to do that whole heartedly. Partly because I don't have much knowledge regarding authenticity. When something is famous, its counterfeits are bound to crop up. Sarees are not an exception. 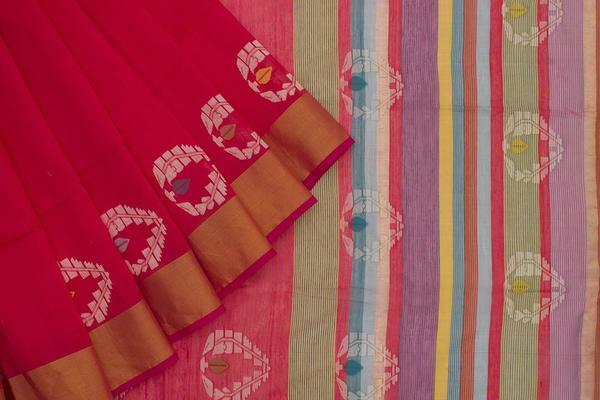 Handloom sarees are the fruits of hard work of the weavers. 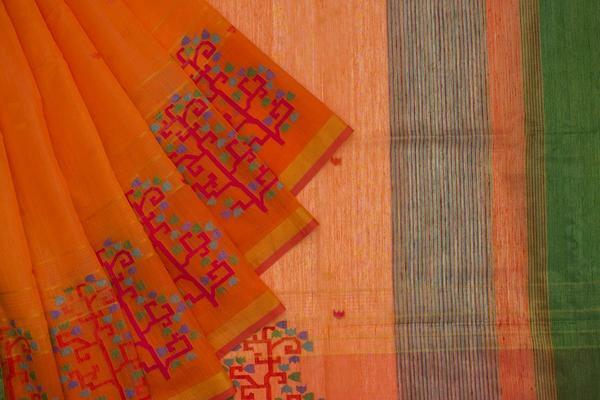 The right yarn along with the expertise of artisans get woven into beautiful sarees which have a good price tag. So when I am paying a hefty amount for something, I implore to get the authentic piece. Everyone does. Secondly, its not possible for me to go to a distant corner of India (say Assam or Tamil Nadu) just to buy an original saree for myself when I am feeling like wearing it. In this digital era, who does actual shopping? Here comes the solution to all my problems. 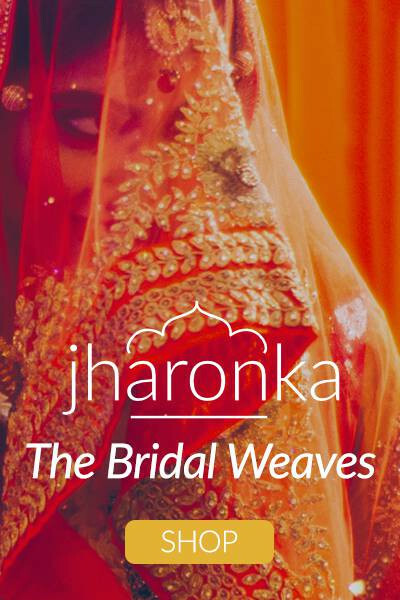 Jharonka.com is an online shop for premium authentic handloom sarees. An initiative by Craftsvilla, this site is the answer to both of my cardinal problems. Jharonka -Authentic Handlooms has an exhaustive collection of handloom sarees. 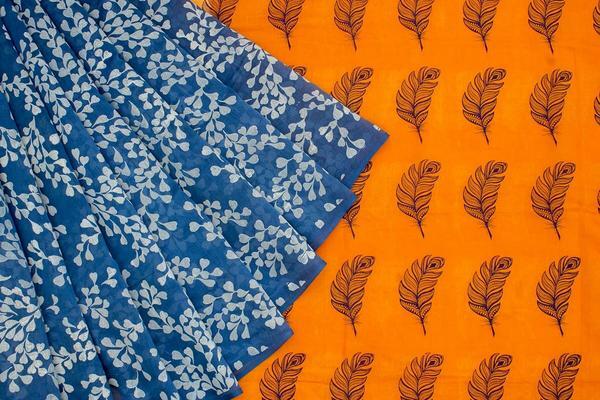 From Kanjeevaram silks to Begampur cottons, from Bengal sarees to Assam silks, from Chanderi to Banarasi handlooms, to hundred types of silks ...their list of collection is endless. So you can shop any type of saree you want, from the comfort of your couch, just at the click of your mouse. The best part about Jharonka is that you can be assured of excellence. They source directly from the artisans which means that there is no scope for slacking in grade. Also the products which they put up for sale undergo rigorous quality checks. The same goes for their partners too. Handloom sarees can be expensive. However on Jharonka, you would get the best price as there is no middleman. My favourite type of saree has to be the Bengal handloom sarees. After all I am a Bengali! Actually I have seen soooo many of them being worn by my mom, my relatives and even neighbours, that they are a huge part of my life. The colours, designs and textures have enticed me since my childhood. Whether its hand woven or Jamdani, block printed or just plain cotton, each saree is a masterpiece. Bengal sarees are very versatile...you can wear them to work as well as party in them in the evening! The price range is also very wide to suit everyone. My second favourite variety has to be pure silk sarees. Silk is classic and versatile. India is blessed to have so many type of silk fabrics: Banarasi silk, Mysore Silk, Murshidabad silk, Tussar silk...the list is endless. Silk can be easily worn to the office as well as to parties and even weddings! Banarasi sarees are known to be the perfect bridal trousseau. For my wedding, I donned a blood red Banarasi saree with heavy gold thread work. I have worn my mom's wedding saree (Banarasi) in many of my dance performances and I am nuts over that piece of fabric. Banarasi silks are timeless! 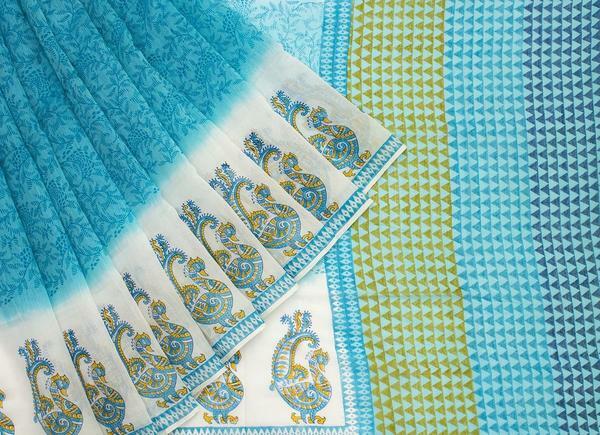 Jharonka.com is not just restricted to sarees but they also offer dupattas, stoles, home decor and home furnishings. In all, it is India not only under one roof but at one click of a mouse! So many to choose from beautiful color and pattern. I love Jharonka...they have teh prettiest collection of ethnic wear. nice collection you have shared. An amazing collection of beautiful sarees.I like the first line of your post "We Indians are lucky in terms of attire".I think banarasi georgette sarees are also a good choice to wear. These saree designs are very interesting and unique.I like it.Its very useful for wedding selection.There are lots of ethnic wear like party wear sarees,designer sarees,printed sarees for wedding wear.Thanks for share it.